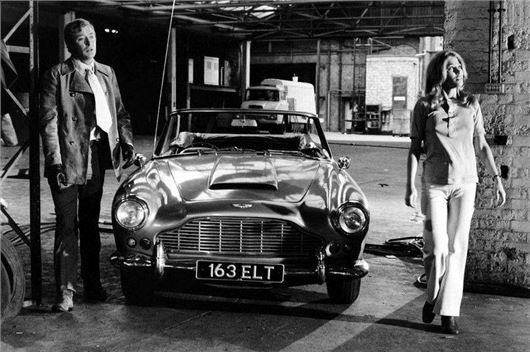 Surviving cars from The Italian Job will be reunited in a special exhibit to mark the film’s 50th anniversary at the London Classic Car Show, on 14-17 February 2019 at ExCeL London. The 1969 British heist film, which stars Michael Caine and Noel Coward, is famed for its incredible chase scenes through Turin, Italy, with the cars being the real stars of the movie. Now, The London Classic Car Show and Octane Magazine have curated this special celebratory feature, bringing together three original cars alongside replicas to mark the film’s half century. The highlight of the surviving models will be the film’s pair of Jaguar E-Types – the dark blue Fixed Head Coupe (619 DXX) and red 3.8L Roadster (848 CRY). The Coupe was in the owner’s possession for almost 20 years before a friend spotted that it could be the car featured in the film. Further investigation proved positive and it has now been painstakingly restored by Tester Engineering to its original factory specification. The red Roadster will also be on display. Originally a demonstrator and raced in 1961, it was sold to model Richard Essame in 1962 who landed a part in the film as one of the Mini Cooper drivers. Essame drove the car to location in Italy, where the production team saw it and thought it would be ideal for the film and purchased it from him. Rounding out the three originals from the film is the Aston Martin DB4 Convertible (163 ELT) that was supposedly tipped over a cliff by a bulldozer. Despite its apparent demise, this 1961 convertible was switched for a Lancia Flaminia during filming, allowing the DB4 to survive the cliff scene. Unfortunately, the iconic red, white and blue Minis made so famous by the production no longer exist, but identical replicas will be featured to celebrate the film’s anniversary. Hazel Collinson, actress, director and widow of the film’s director Peter Collinson, will be a guest of honour at the London Classic Car Show and will share her memories from the making of the film. Appearing in the film cast as ‘blonde scrubber’, Mrs Collinson said, ‘Little did Peter and I think when the film was first made that it would become the cult that it has. My husband was a great director and this is a film that really got under his skin. Alongside the original cars presented at the show there will be a Lamborghini Miura identical to that appearing in the film, along with a reproduction of the OM Furgonato Sicurezza ‘Bullion’ Van. Convincingly converted by the film’s production crew into a security van, the attempt to blow its doors off led to the film’s famous line delivered by Caine, but also the destruction of the original. It is also hoped that the restoration of a Harrington Legionnaire coach will be finished in time for the event. The original was converted especially for the film but after its starring appearance it went back to being used as a coach and was scrapped in the 1990s after service in Scotland. For further information and to purchase tickets for the London Classic Car Show, visit www.thelondonclassiccarshow.co.uk.